Zoe Jennifer Catherine Kirk-Robinson (born 20 September 1980) is a British politician, writer, artist and filmmaker. She is a co-founder of T-Vox and serves as its current Director. She was the first openly transsexual election candidate for the Conservative Party. She currently sits on Bolton Council, representing the Westhoughton North and Chew Moor ward. She is a former Vice Chairman of LGBTory, the Conservative Party’s LGBT group. Zoe is a writer, cartoonist, filmmaker and political activist. She was the former Vice Chairman for Policy and Campaigning for LGBTory, the Conservative Party’s LGBT group, and was its first Trans Officer. She became the first openly transsexual Conservative Party political candidate, standing in the 2014 local elections in Bolton. In 2015 she became the first elected transsexual member of the Conservative Party. She was born and educated in Durham, graduating from Durham University in 2002 with a Bachelors degree in Physics. She later graduated with honours from the Open University in 2012 with a Bachelors degree in Law. She lives in Bolton with her wife, Jennifer Kirk, and their cat, Fred. She was responsible for developing the original T-Vox website, which featured a punk-inspired look that was intended to set it apart from the other, predominantly pink and flowery, trans* websites online in mid-to-late 2005. When the site was revamped in early 2006, all that was left of the original punk version of the site was the T-Vox “Redbox” logo & colour scheme that is still in use today. Zoe was responsible for developing the T-Vox forum and the chat room. 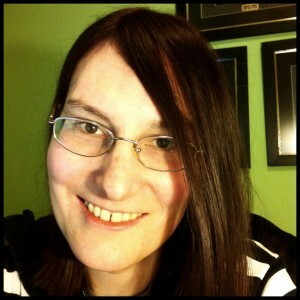 She was also responsible for the decision to close down the forum in 2010 due to daily attacks from transphobic hackers seeking to use security flaws in the phpBB forum code to access T-Vox’s database and destroy the site (which almost happened twice, although each time the site was saved due to its backup files). She oversaw the formation of the T-Vox news service and the conversion of the old T-Vox MediaWiki content to the new WordPress version of the website. Zoe developed and maintained the custom code that ran T-Vox at the time of its creation. She still develops code for the site today; her latest work being a form that generates free Deed Polls so people in England and Wales can change their names at no cost.